Social Media has added a whole new dimension to the concept of communication. There are numerous ways to communicate with people through numerous means. Pictures, tweets, links, blog posts, videos – the choices are endless. 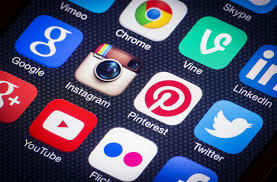 It has also become imperative to have social media presence on to be able to connect and network with people. But with so many media, it is equally a challenge to learn the nuances of each and be good at each of them. And since there is no set code of conduct yet, we are free to interpret how things work and also create a few codes ourselves. Although, popularly used codes become rules or we learn by following the popular, there is no saying who is right or wrong. How many times have you come across people who send a chat message on Linkedin email? Or a newbie on Twitter posting as if he is still on Facebook? Seems odd when that happens, doesn’t it? So step one: learn how each medium works. Twitter is about short, meaningful communication while Facebook accommodates longer rants. Linkedin is strictly professional and sending an email that says, “nice DP” is not appropriate. If you intend to create a professional image online, ensure you learn the norms of professional communication. Behave courteously with people online just like you would offline. Avoid chat language – which can sound rude and unprofessional. Also a part of being professional (and courteous) Wouldn’t you respond to someone talking to you in real life? Leaving someone’s comment unanswered is the real life equivalent of someone talking to you and you walking away without answering. Whatsapp is emerging as a very popular tool for communication and yet the most confusing. People think it’s ok to Whatsapp anyone, anytime. I had a gentleman Whatsapp me at an inappropriate hour to ‘connect’ even though he accepted it wasn’t the best of time to message. Don’t Whatsapp a professional connection, especially if it’s the first time. It’s just better to stick to an SMS. And also continue to SMS, unless they are okay with your Whatsapp messages. I got this from an HR manager of a global corporate who wasn’t happy about getting Whatsapp messages from the newly inducted team of youngsters who thought it was okay to just Whatsapp their superior. Don’t send unsolicited messages to individual members of groups. I don’t know about you but I don’t like people messaging me out of the blue to ‘be friends’, ‘get to know better’ and in one case, a mass Valentine’s Day message from someone who said he knows me from a group I was in! People get in touch with me on my blog and want to discuss various skill related topics. Sometimes I leave my number and ask them to call me any time. But use some discretion to find a good time when the person can do justice to the conversation with time and attention. If you still don’t get a reply to your message, you can take the liberty to straight away call at an assumably suitable time. With a lot of personal information going public in the world of social media, a lot of information is easily accessible. The gentleman I mentioned earlier not just messaged me at an inappropriate hour but also just picked up my number from a conversation thread about a prospective training assignment. Why he singled me out to ‘connect’ is beyond my ken since a bunch of trainers left their numbers on that thread. But it isn’t right to say I got your email id/number from somewhere and try to start a conversation. I can’t remember the number of times I understood the message wrong because of a missing comma. Many other times, I couldn’t understand the message at all. I may be too scrupulous but there’s no harm in using the right words and punctuation to make sure your message gets across correctly. The bigger fallout of not being careful about this is that people might misunderstand your message and you won’t even know it. With no instant feedback in online/written modes, it’s easier for miscommunication to take the place of effective communication. And what you put out there is directly related to the image you are creating for yourself. While this is hardly a comprehensive list of do’s and don’t’s of great communication online, I think this a good to start with. I can come back with another post when I am ready with more such pointers. Tell me, do you have any pet peeves of online communication? Something that people did that annoyed you? Or even an incident where you were reminded of old time chivalry in formal communication? Put that on the comments and share it with our readers too. Thanks for the article! I thought it was interesting that you suggest really getting to know Whatsapp. I have heard very little about it other than it is a newly popular tool for communication. I find the tool to be quite confusing and has multiple steps in order for it to work. I guess I will just have to use the app more often to ensure my abilities in that form of communication works better. I really appreciate what you have suggested, I hope to apply these tips more in the future. Thank you for reading the post and leaving your comment. Whatsapp is a very common medium of communication. You just need to use your phone number and set up the app. It is not hard to use it after that. So let me know if there is something I can help you with.